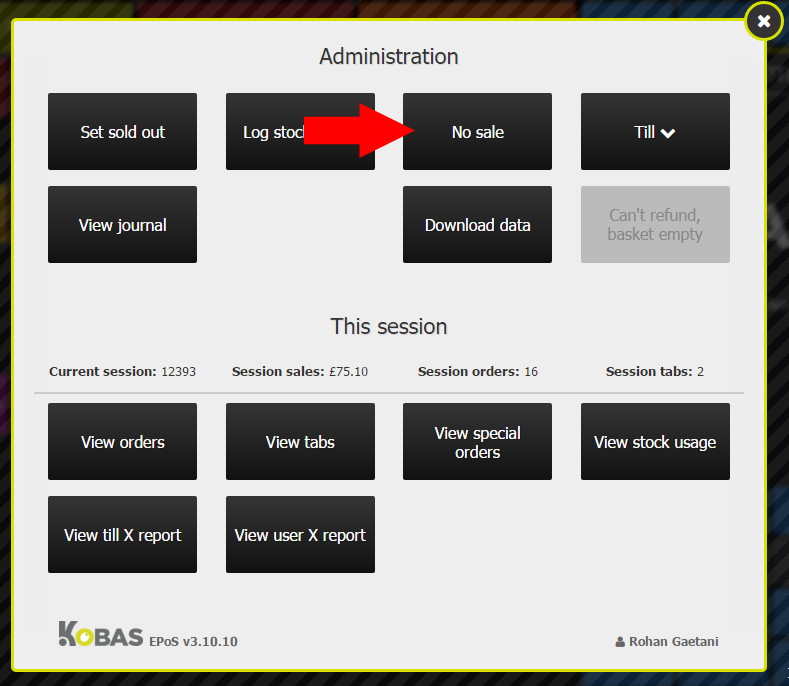 Kobas :: Your complete hospitality management solution | Cash Drawer not opening? Very occasionally your cash drawer may stop opening for you. This can happen if the till has been in operation for a while without being rebooted or restarted. Good news is, this is very easy and fast to fix. By following the below steps you’ll be back taking cash payments in no time. Please note you must have administrative rights on the till to perform the below task. 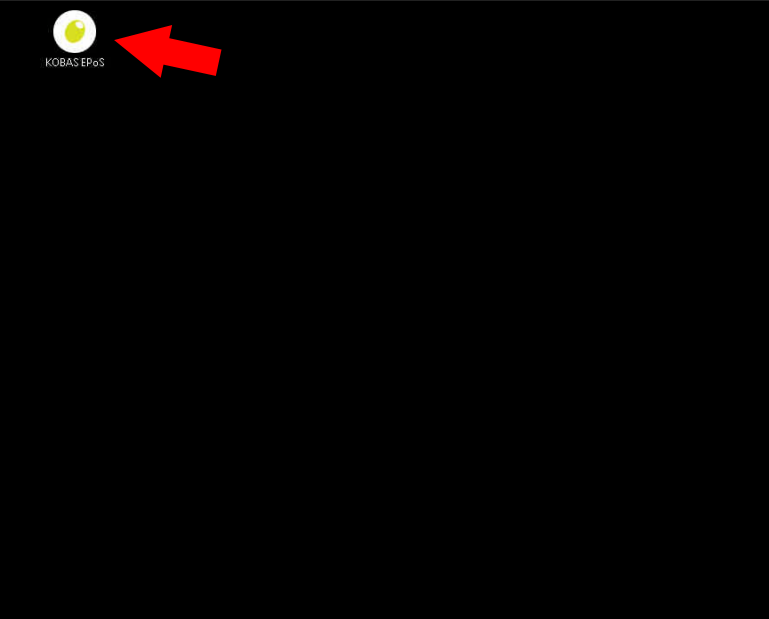 Log in to the till and then select the “Admin” menu from upper right hand corner. Touch the “Till” button and a drop-down menu will appear. From here simply select “Exit till”. 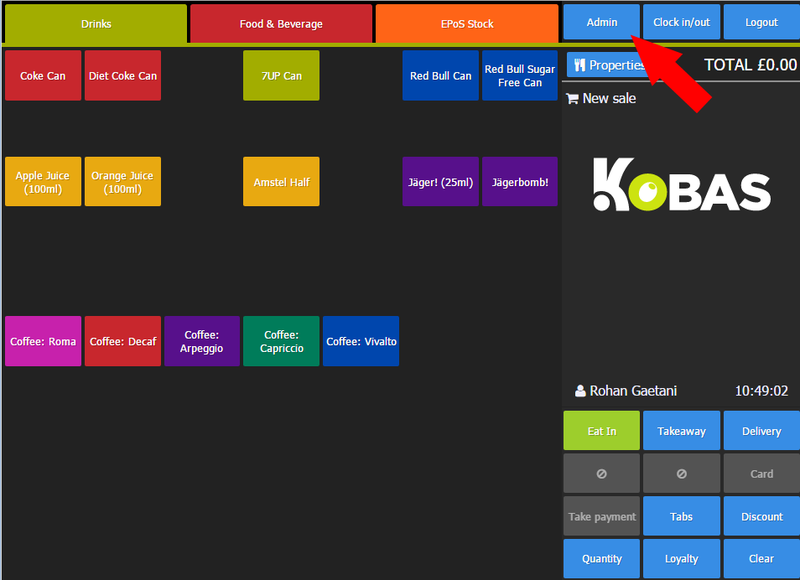 You will now be on the Desktop where you will see the KOBAS EPoS icon in the upper left hand corner. Double tap the icon and the EPoS and all of its dependencies will reload. Happening on more than one till? Perform the steps again on all affected tills.